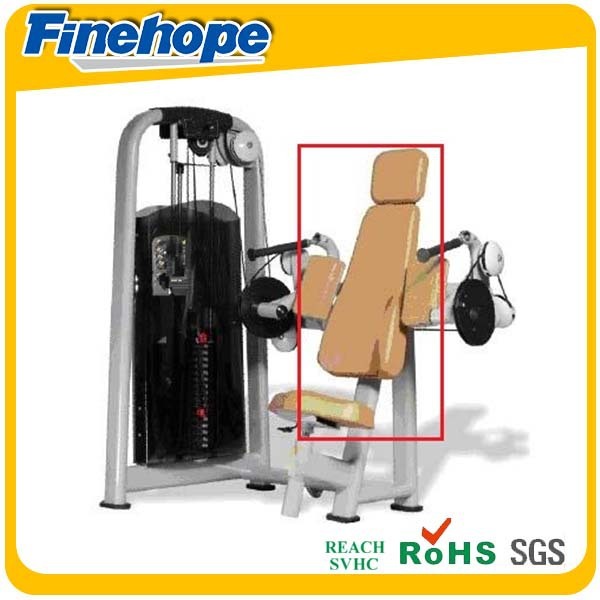 Fitness Equipment PU Polyurethane Softy Durable Spare Parts Accessories Customize OEM Manufactuter | Finehope (Xiamen) Polyurethane Products Co., Ltd. This is a kind of polyurethane porous foam with high plasticity. 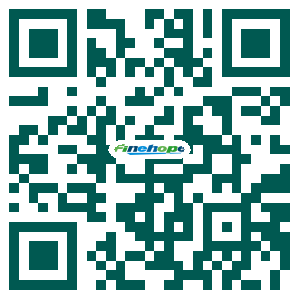 It is structurally divided into the high density simultaneously in one operation. 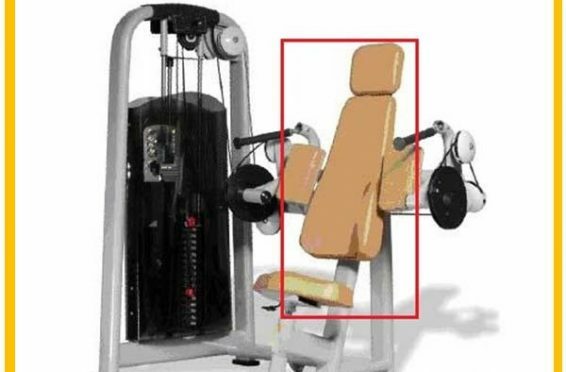 Polyurethane self-sintered skin product is widely used in sports apparatus, seating mat of gymnastic appliances, backrest, kneeling pad, handle, footboard, bike saddle, sports protective rings. 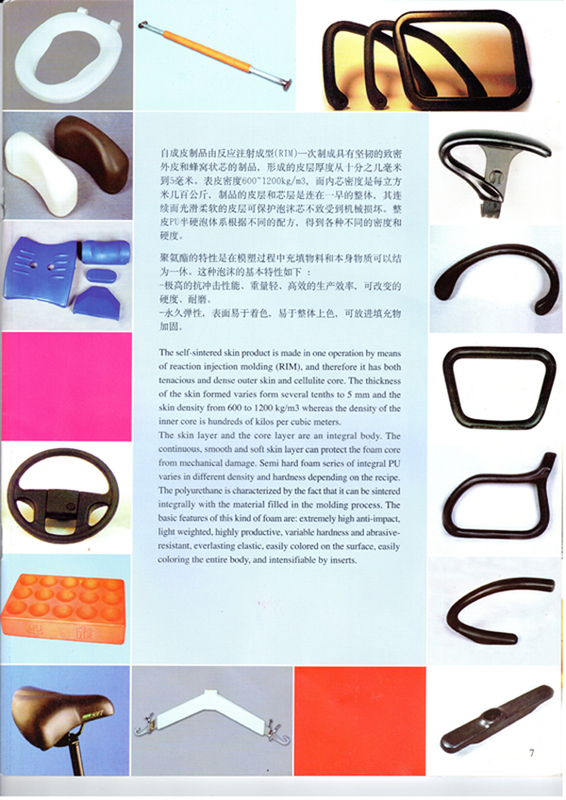 It is also extensively used medical appliances, such as integrally shaped seating chair, edge seal of operating table, object hanging rack, wheel chair handle etc. 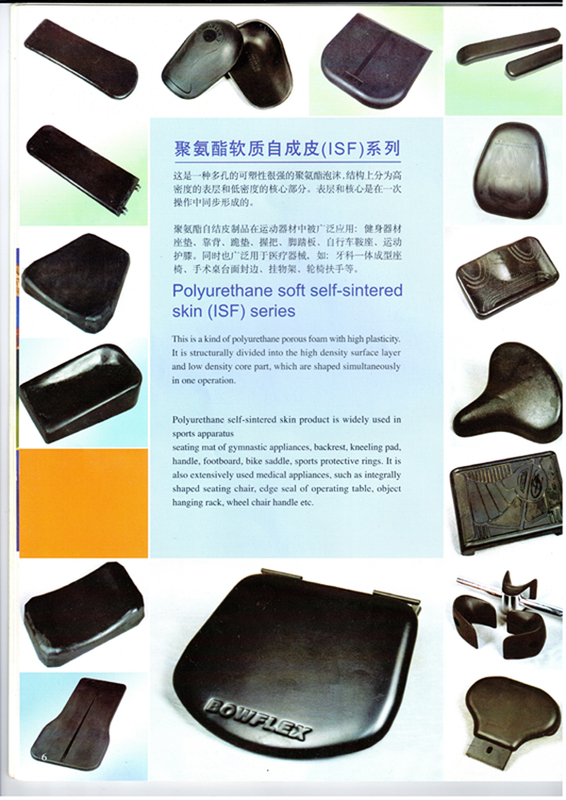 The self-sintered skin product is made in one operation by means of reaction injection molding (RIM), and therefore ir has both tenacious and dense outer skin and cellulite core. The thickness of the skin formed varies form several tenths to 5 mm and the skin density from 600 to 1200kg/m³ whereas the density of the inner core is hundreds of kilos per cubic meters. The skin layer and the core layer are an integral body. 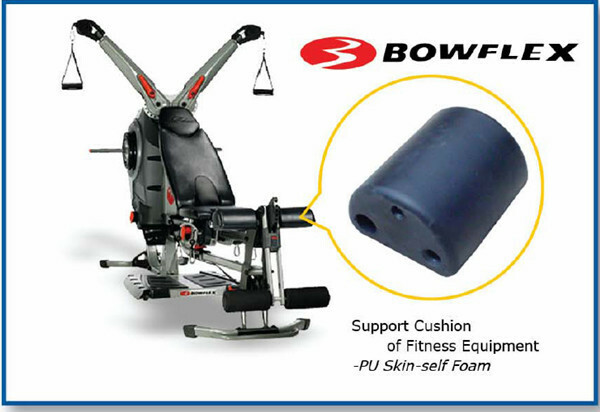 The continuous, smooth and soft skin layer can protect the foam core from mechanical damage. Semi hard foam series of integral PU varies in different density and hardness depending on the recipe. 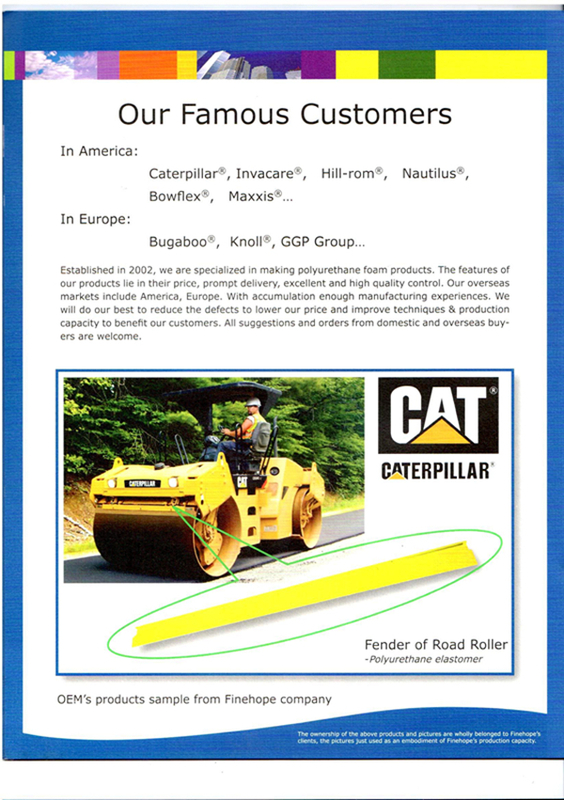 The Polyurethane is characterized by the fact that it can be sintered integrally with the material filled in the molding process. The basic features of this kind of foam are: extremely high anti-impact, light weighted, highly productive, variable hardness and abrasive-resistant, everlasting elastic, easily colored on the surface, easily coloring the entire body, and intensifiable by inserts.